His voice comes from heaven, and he has been a legend in the international music industry for the last forty years, with over 140 million records sold. 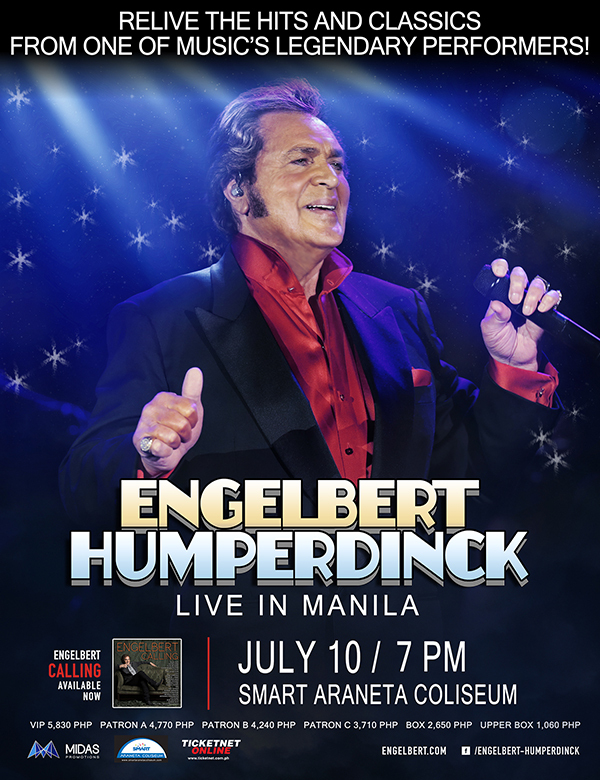 Engelbert Humperdinck, celebrating forty years in the business in 2006, has recorded everything from the most romantic ballads to the platinum-selling theme song “Lesbian Seagull” for the latest Beavis and Butthead movie. His sense of humor has endeared him to millions of fans around the globe and the MTV generation has just “discovered” what a magnificent musician the rest of the world has celebrated for decades.